Scan tickets, check-in guests, sell at the door, and expertly manage your event onsite. at loading data than other leading onsite apps. * According to an internal study assessing app speed, data, and battery usage. Process onsite payments effortlessly and never miss a sale. Accept credit cards, Apple Pay, Google Pay, or cash payments quickly and easily. 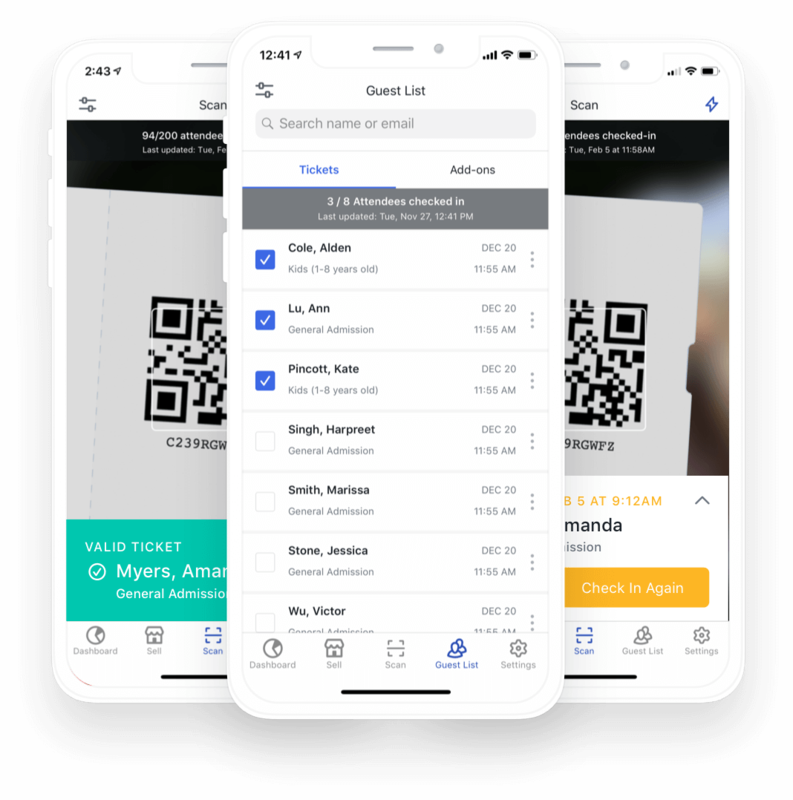 Issue refunds, resend tickets, and share receipts instantly. Charge a special rate by setting specific ticket types to be available at the door. Sell tickets to more than one event at a time with advanced filtering. Eliminate wait times and create a seamless experience for your attendees. Accommodate re-entries by allowing tickets to be scanned multiple times. Access your entire guest list at once or search for attendees by name or email. Customize your lines and check-in flow by setting devices to only scan a particular ticket type. 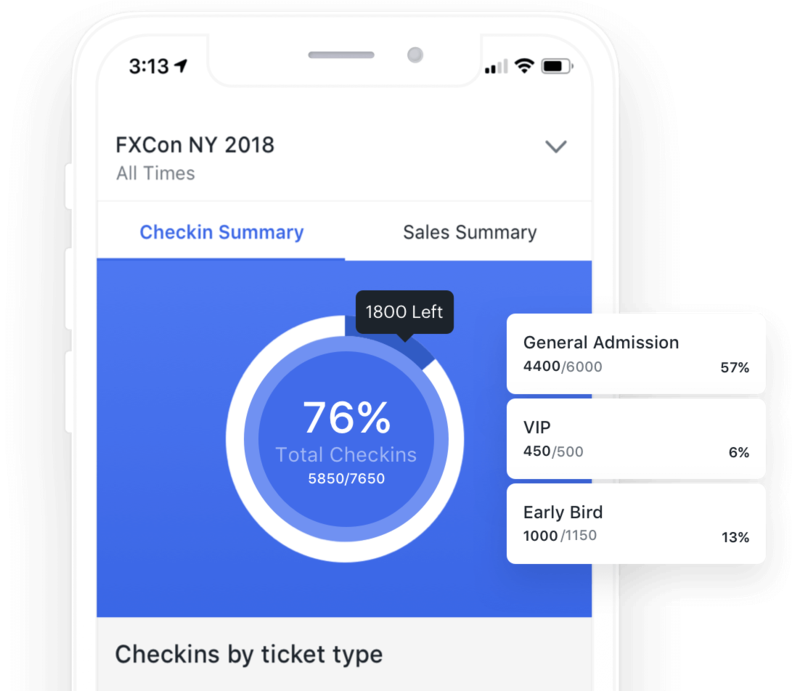 Event sales and check-in data is available at your fingertips instantly. Use attendee check-in times and volume data to place volunteers where needed. Receive a real-time breakdown of revenue and the number of tickets sold by ticket type. View checkout questions and ticket orders on the attendee level. Enlist as much help as you need to create your onsite dream team. 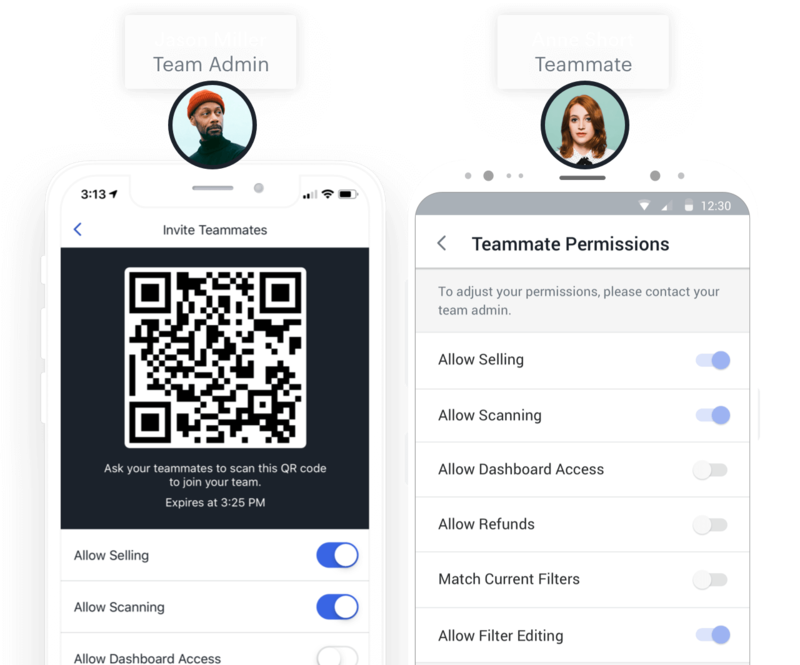 Instantly add as many volunteers as you need by using the 'join team' scanning function. All devices sync to your account to ensure accurate inventory, attendee, and sales data. Sensitive data remains secure with customizable permissions for all volunteers. Cover any last-minute printing needs without skipping a beat. 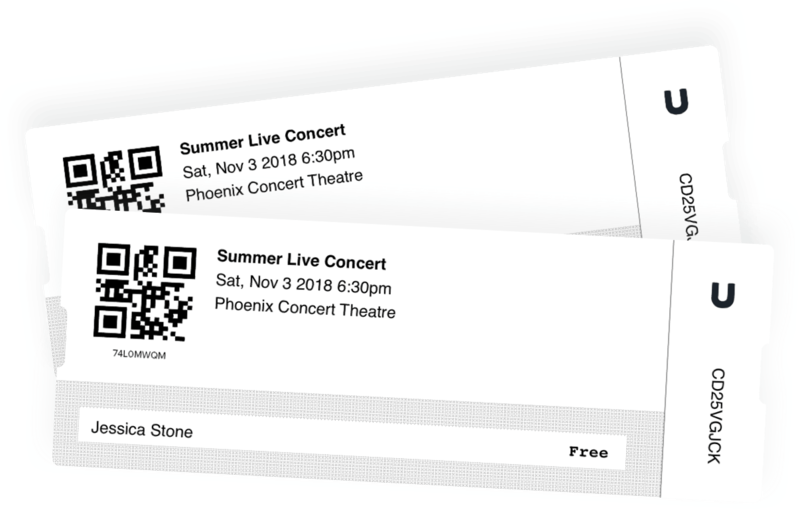 Print physical tickets quickly with Boca printers. 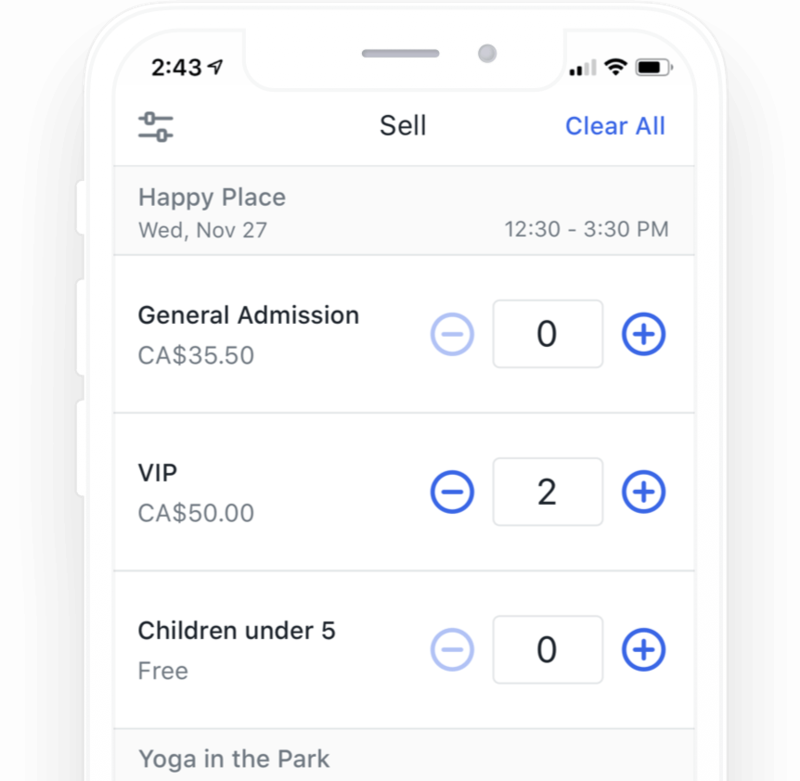 We easily installed the BoxOffice app and managed to get all 30,000 customers into West Park well within our planned 1 hour, 30 minutes — with only 30 devices! Everyone here at WCC and our external partners are all very impressed with Universe. We’ve even had customers contacting us to praise the booking process, too.